You cannot only use it for savoury dishes like guacamole or in salads, but also for sweet dishes, as it has a very mild flavour and blends well with chocolate. 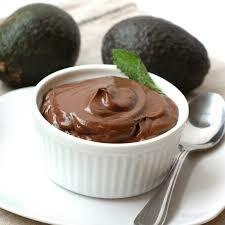 The avocado gives this desert the rich and decent taste of a proper chocolate mousse and is healthier at the same time. Don’t be afraid you will not taste the avocado in it. These muffins are made with cooked quinoa (rather than quinoa flour). It is therefore super moist and dense and has an intense chocolate flavour (which suits me because I LOVE dark chocolate). If you prefer your chocolate a little less intense perhaps try with a little less cacao. I chose to make these entirely in a blender – super easy and super successful! Preheat your oven to 180C. 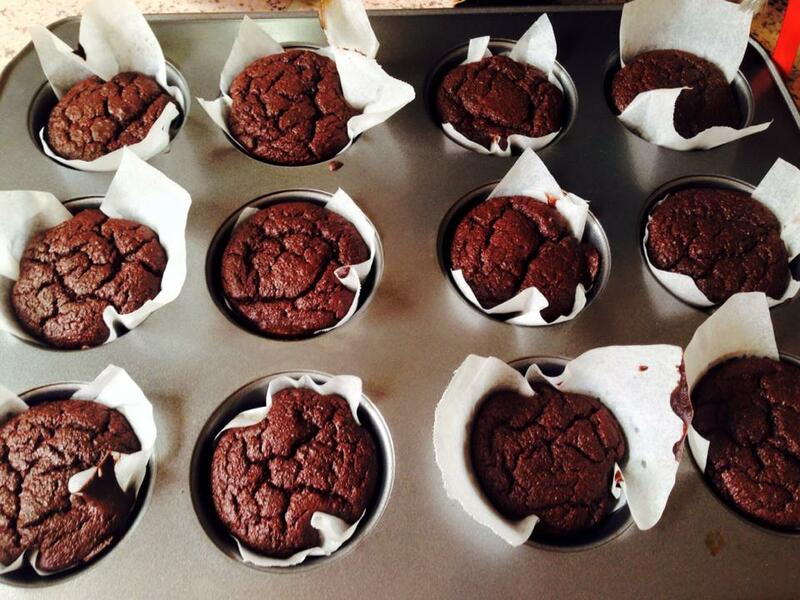 Line a 12 hole muffin tin with baking paper. Rinse your quinoa thoroughly. Bring the quinoa and water to the boil on your stove. Cover, reduce heat and let simmer for ten minutes. Turn off the heat and leave the covered saucepan on the stove, lid on, for a further ten minutes. Fluff with a fork and let it sit to cool. Combine the coconut milk, eggs and vanilla in a blender. 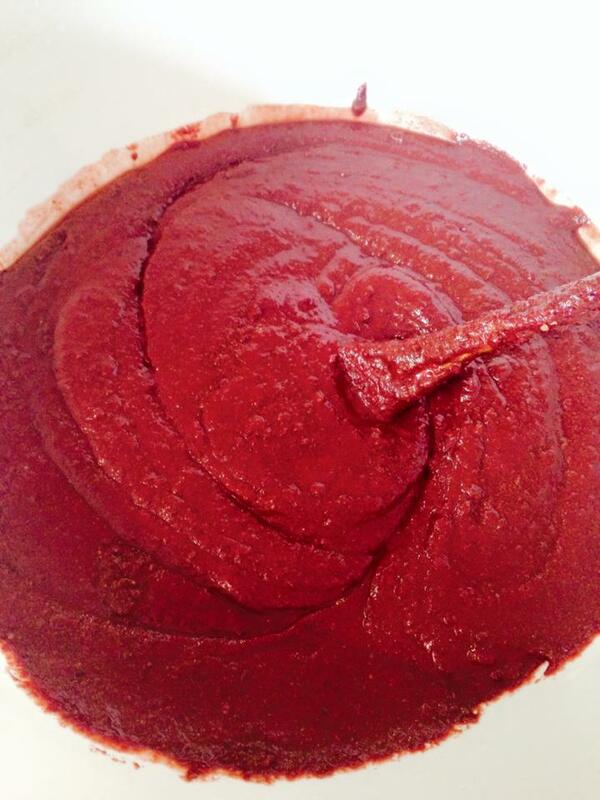 Add 2 1/3 cups of cooked quinoa, butter, grated beetroot, coconut sugar, salt, baking powder, baking soda and cacao powder. Blend again until combined. Bake in the centre of the oven for 30 minutes or until a skewer is removed clean. I recommend checking them at 20 minutes to make sure the tops are not burning If burning place a piece of baking paper over the top of the tray. Remove from the oven and cool in the pan before turning out onto a wire rack. Add all the ingredients to your food processor and blend for 1 minute until mixture is dough-like and sticks together. Sprinkle left-over coconut onto a flat plate. Take dessertspoon-sized portions of the mixture, roll into a ball and then roll in the coconut. Put truffles into a container and leave in fridge. Truffles will last in the fridge for about a week and they do freeze also.